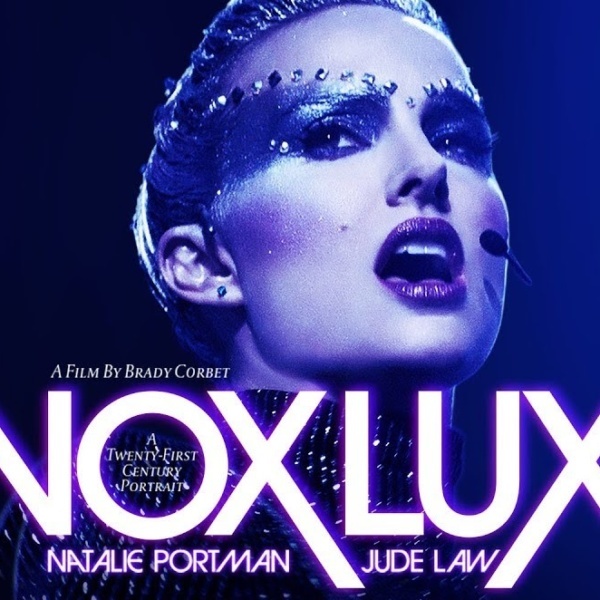 When I heard the casting for this film, directed by Garth Davis, I admit I groaned. Moody Joaquin Phoenix as Jesus Christ? 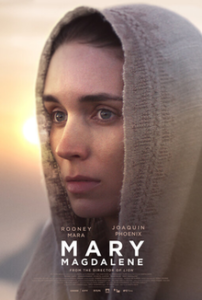 Odd but undeniably gifted Rooney Mara as Mary Magdalene? It seemed doomed to failure and ridicule. The Weinstein Brothers stood firmly behind the film until their world came crashing down amidst allegations of sexual misconduct. Suddenly, this film, shot in 2016, was without distribution and was going to be shelved for a while. 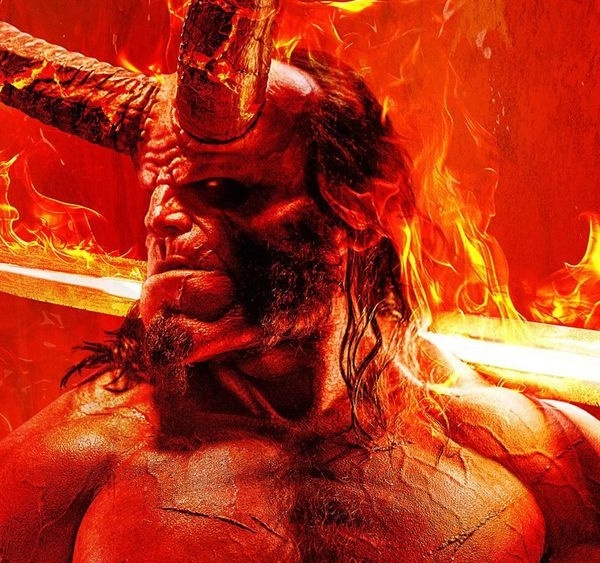 IFC came to the rescue with a distribution deal that saw the film finally get a release April 12. With a couple Biblical films impressing yet confounding critics and audiences, it seems safe to say this will do the same. The Passion of the Christ (2004) was a seething exploration of faith, of Christ having the faith to fulfill his destiny here on earth, while Noah (2014), savaged by the critics, was a bold study of the man who was told to build an ark, and did. Now to be clear, I struggle mightily with religion, always have. For me the theories of Eric Von Daniken answer much of what is said to be the Old Testament of the Bible. I do not believe in one almighty God, but I do believe Christ walked the earth. I believe other races of people, aliens if you will, walked our planet long before we did, helped build ancient cities such as Egypt and the Mayan Temples, appeared often to these people in what the Bible calls “fiery chariots” until they decided they had helped enough. I do not believe in heaven or hell because I believe we are walking in both throughout our lifetime, and keep getting reprogrammed to live again, reincarnation. Energy never dies, and in some strange way we are energy. I witnessed something I cannot explain when my wife died, an expulsion of energy that was in the room and gone just as fast, but it was there, I felt it, smelled it. Onscreen Christ was often portrayed as an entity rather than a flesh and blood man. Cecil B. DeMille set a template that was followed for years in how to portray Christ in his silent classic The King of Kings (1927). Sadly he was a thing, never a man. In Martin Scorsese’s The Last Temptation Of Christ (1988) we finally saw a fragile, human Jesus terrified of the voices he heard in his head, frightened of crucifixion, his destiny, and questioning his role on earth. Willem Dafoe gave a profoundly moving performance as Jesus, breaking ground in the part as Robert Powell had in TV’s Jesus of Nazareth (1978). No longer was Christ a serene, still being, wearing white robes, gently healing those brought to him. Now with Powell and Dafoe portraying him, he was a man with real desires, fears and emotions. Jim Cavaziel continued that tradition in Mel Gibson’s” extraordinary The Passion of the Christ (1988) and now we have Joaquin Phoenix, one of our generations finest actors, taking on the role. The film focuses on the spiritual awakening of Magdalene (Mara) who hears of Jesus, then listens to his words and becomes an avid follower, a female disciple if you will. Her presence upsets the other disciples, Peter in particular, but Christ assures him she is welcome among them. The film makes a strong feminist statement about the role of women in spreading the teachings of Christ. Shot down as well is the long standing belief that Magdalene was a prostitute, apparently she was not. Phoenix as Christ was a pleasant surprise! This is among the rare times on screen we see Christ laugh or smile, and it adds a lovely touch of humanity to the character. As always the actor brings an intensity to the role, often detached from the rest of them, lost in thought, perhaps fearful of what is coming. There is a lovely exchange between he and Mary, where she asks a question about what it is like being Christ? He smiles, thoughtfully says “No one has asked before” and attempts to answer. Like Jesus, she knew he was going to die, and though devastated, she accepts it when told he will rise. And rise he does baffling all his followers including Mary. Rooney Mara is a great choice for the role as she is unconventional in every way and devotes her entire being to the part. Her choices are perfect, but we know no other actress would make them, that Mara is singular in her choices as Magdalene. She is exciting to watch, unpredictable, urgent, and in her own way, quietly electrifying. The landscape is harsh, brutally hot, spiky and not a place we would wish to exist. In many ways it looks like hell on earth and into this world comes a man preaching love. It makes for an interesting, often exciting film of words, not action. Very meditative, the director has the courage to take his time, unhurried, he tells his story. Yes, it is familiar, but in the hands of Davis there is something fresh about it. Not for mainstream audiences, this is very much an art film managing to be, at times, a profound work of art.